Well this is rather hard to briefly explain, but I'll try, ask me if you have any questions or want to see more pictures. 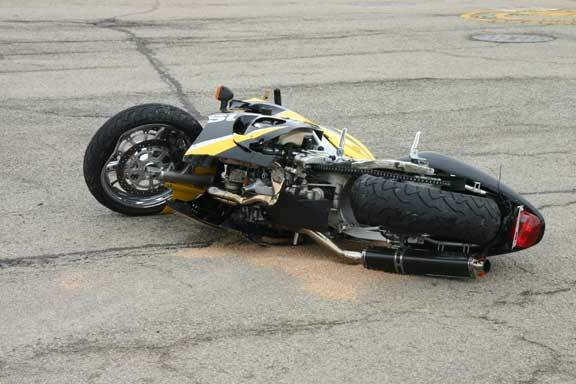 Supposedly from what I found out talking to other people, a guy on a crotch rocket took off very fast and lost control of his bike at a high rate of speed. 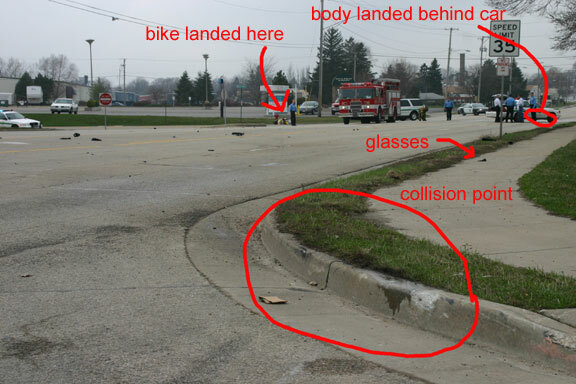 The first picture shows an over view of the scene of the accident. Close up pictures follow. 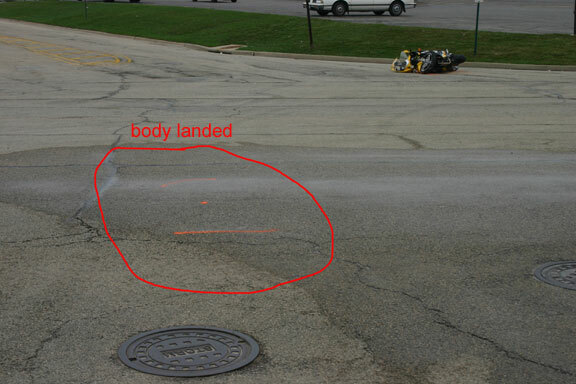 Second picture shows where, from what we could see, he hit the curb first, and where he bounced off the second curb. 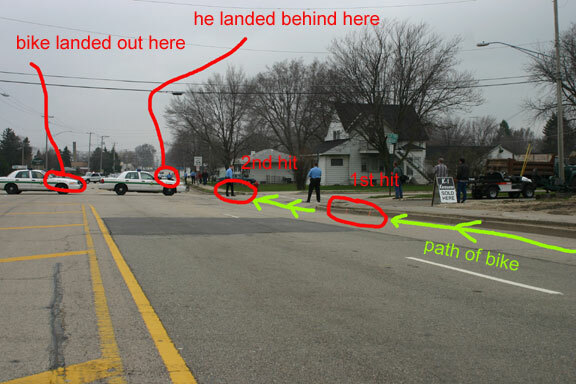 This shows the span of where this crash happened. He had to have been going very fast, I'm guessing higher than 60 mph, and maybe close to 100 mph. the close curb where I called the collision point is Cotton Ave. on the east side of DeKalb. This is looking back at the curb that he hit. 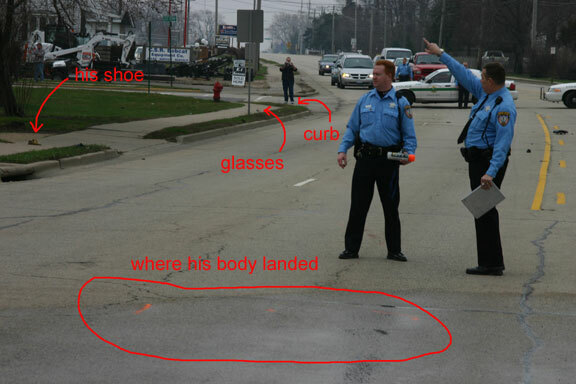 If you look closely at the red circle you can see marks on the ground of where I believe his body landed. When I got at the scene the body was already gone, the ambulance left with the person soon after I got there. From what we saw, I don't think he was wearing a helmet either. To help visualize the bike landed to the right of me, taking this picture. 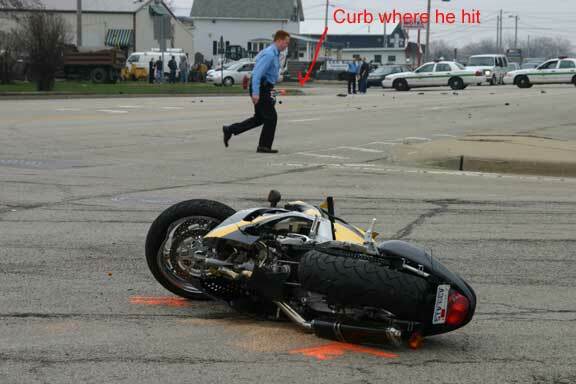 This is how far his body landed compared to the bike, across 4 lanes and a divider. You can see how much debris was spread through the street, the bike was pretty mangled. 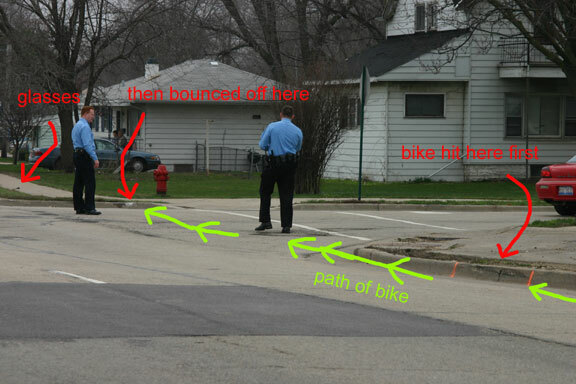 A policeman marked the spot where the bike landed. 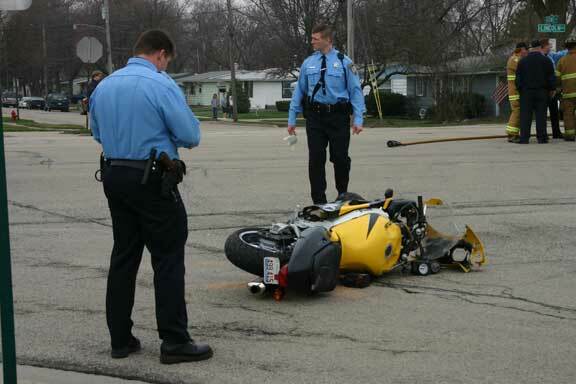 The battery to the bike was out of it and on the ground, as well as the speedometer from the handlebars. 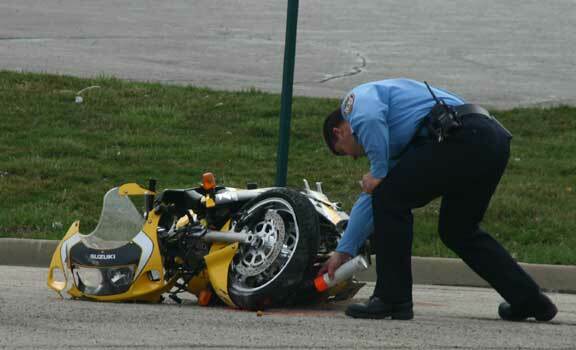 The bottom was rather ripped apart, due to most likely the curb and the bike flipping after hitting the curb. After I got to the scene the amublance with I assume the driver left. I didn't see the guy, the pictures show what I saw, don't know if he lived or died, but most likely he died, we'll find out in the Nothern Star on Monday. Hopefully you get a good idea of what happened, even if you did just look at the pictures. if you have any more questions of this, please ask. I'm always on AIM @ xxpupxx.